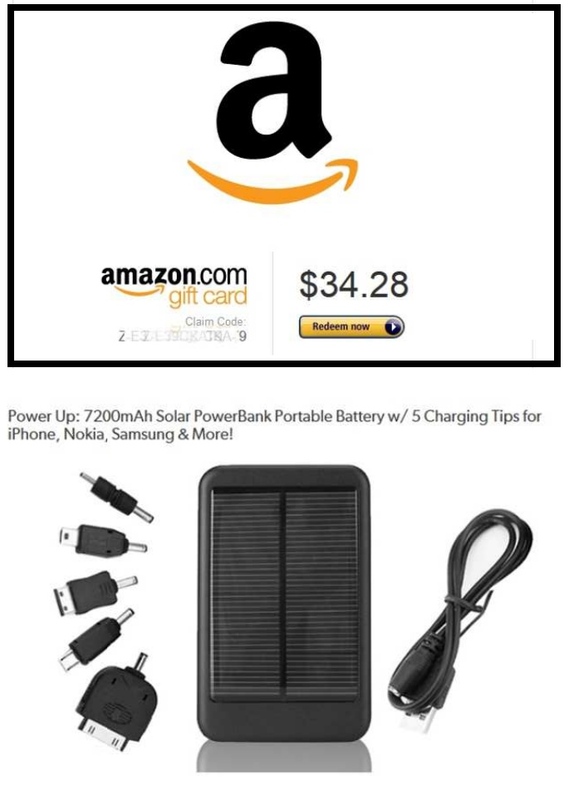 Final SWAG Saturday (for 2013): $35 Amazon Gift card + Solar Power Brick on the line! What a crazy year 2013 has been. I flew 105 segments on Delta. I already have 5 trips booked, on Delta, for next year and one on United / Lufthansa in 1st class burring up the last of my United points (and I am so happy to be at almost a zero balance there)! It has been a bit of a rough year for us in Delta land with some good program changes but mostly bad ones for frequent flyers. And that brings us to this week’s topic. First the rules each week are the same and are HERE so do look. Then I am asking for two answers for a chance to win so I am giving away the two prizes you see above, an almost $35 Amazon e-Gift code and a Solar Power Brick to charge your gadgets! I liked the bonus miles from Portland. For next year, I would like to see free Club access. I am not a fan of the SDC changes. I would like to see the gate agents better enforce the boarding process. Assistance people, 1st class then sky priority. I am a gold and that is the biggest perk for me. Get on early with bags and get settled. MQD’s are not a hit with me. As a GM (just missed PM for 2014) the thought of trying to get my company to spend more on the same flights is just crazy. I just got the go ahead to price out other airlines so a status match might be in play for me? A change I want to see is drop some of the same systemwide upgrades for all fare classes but E be available to the PM and GM on international flights. The change I liked least was the devaluation of the BE award to EU from 100K to 125K. If I were looking for an improvement, I would like DM’s to be able to choose the same benefit twice, so that we could choose the global upgrade certificates twice. Not liking the new same day confirmed rules. For next year I’m hoping they fix the award chart! My favorite change is the ability to get free upgrades to Hawaii although I wish they would have included Atlanta. Change I’d most like to see next year would different snacks in the skylounges. Hope for next year: No more “enhancements” (although I do like the new global upgrade certificates). I disagree with the mqd requirement, but I do understand it is a business. I hope to see better mqm credit card offers ( I got one for 15k mqm on the Delta Plat card). The devaluation this year was the worst change. The MQD changes this year have to go! Uggh! I would love to see more perks like the free upgrades and just more options like this. Worst is no nyc to lax upgrades. Next year, bring back the upgrades! 1) Price changes in #skymiles. So bad i decided to use mine for family for at 1.3Cents a mile. 2) More availability for low awards its a killer only like 1/2 days a month availabe(more than a month out) to some latin destinantions is crazy! More free upgrades would be nice. Worst change was the devaluation. Next year maybe more low award availability to Australia. Hoping for: better search engine, what else? 2) Hope to see them reinstate this next year, but I doubt it! Would also love to see more saver level availability! Maybe we will with increased prices? Double devaluation has to be the change that I hate most. Not only does it emphasize that you should burn miles, but it starts making you question whether you should collect them with Delta to begin with. The change I’d love to see is more routes and expanded flying hours. I was recently surprised to see that while there are plenty of red-eye (later than 9pm departure) flights from the west coast to New York, there are almost no red-eye flights from New York back to the west coast. Devaluation was the WORST change! Better loading process would be a welcome change in the future. – Global Upgrades on all fares is not terrible. United still requires W fares and above. – Hoping that the worst is over in terms of devaluations. Besides the MQD requirements being added (crazy dollar amounts), the award holds being taken away, the Same Day Confirm (SDC) rules hurting us, the award system broken and transcontinental upgrades gone, I really believe the worst thing I dislike about Delta is not giving any time before they decide these changes and when they give time, they change their minds and take them away earlier without anymore time and when you ask them why they are doing so, come up with a silly excuse as to why they cannot share since it’s against law or something else more ridonculous sounding. So personally that’s what I think is the worst thing about Delta, no fair and honest communication with any lead time. The best thing this year is that they are finally getting with the program on global upgrades, though no where yet close to American Airlines upgrades, but the fact that west coast to Hawaii is upgrade eligible is a great step forward. As a million miler, long time platinum member and delta hub captive, I will continue to be on the Delta bandwagon and find any and every best way possible to make the most of it, as with all of these “enhancements” Delta gives me a crazy rush to find the next best move in the game. Hoping to get Club access this year! Hope to see an improved award calendar functionality. Worst: The SDC changes, even with the mid-year update, were awful. 2) Better award search function. And award availability in general! Want to see it Reversed !!! Priority security for Silver Medallion also !! There were a number of not so good changes but bad drinks in the lounge is an enhancement I feel almost every time I visit the airport. New upgrade vouchers sound promising though. worst – changing the award chart, giving more credence to the “sky peso” name. wish for next year – please fix the search engine. Hopefully availability of award seats are improved. My least favorite change is the deflation in the award chart for 2014. For next year, it would be great to see the Delta.com award search engine work more reliably and with more Skyteam partners. The worst was the gutting of earning qualifying miles on partner airlines. Looking forward to: Virgin partnership expanding / growing! The worst change this year has been the increase in the number of miles needed for a business award seat to Africa. For next year, I would hope they allow one way award redemptions at half the cost of round-trip redemptions. MQDs; better snacks in coach. Worst: no more transcon upgrades. Wish for next year: Global (rather than regional) upgrades for PM. I’d also like to see some gluten-free snacks at the lounges. Worst: So many to choose from, but definitely SDC changes, makes it basically useless to me. Hopefully: Fixed award calendar (ha! ), or at least bringing back the hold option. 2) I would like to see skymiles transfer bonuses or AMEX MR transfer bonuses. My least favorite is the MQDs. I’d like to see more perks for Silver status members. Context: I’m NOT a frequent flyer, just a leisure traveler. 2. I’d love to see a change to have legs roll over like miles, since I qualify with legs. Thanks for great content, Renè! sky club card ( I have lifetime card) that would give access to lounges other than delta that have ample shower facilities . PLEASE NOTE- your question asked what change THIS year did you like the least. Many people are listing changes that won’t occur until 2014. Please keep this in mind when selecting your winners. I may have em on a technicality. 2. Return of good beer in lounge for free or the end of skunkgate! 2) Make some positive changes to the award chart and/or saver award space algorithms. Like everyone else here, I do not like the MQD requirements. In the future, would love to see greater award availability and improvements to the Delta website to see partner award availability. 2) Would love to see a working award booking engine. Getting rid of complimentary upgrades on transcons. Hopefully they at least partially roll back this change. This year, the MQDs requirements announced was the worst. I´m hoping for better award availability in 2014! I didn’t like the announcement of the June 2014 devaluation. I’d like to see a not-broken Delta award search engine. MQD’s and I would like to see next year more skymiles eligible flights for where I want to go. Not too happy about SDC change especially because I just got gold. But I’d love to see SWU for gold or more attractive for platinum. 2) More low level award seats available. Would like to have better gift card selections for redeeming points. (1) MQDs and (2) increased Amex Delta Skymiles card offers! Worst = MQD requirements without a doubt. Would love to see increased award availability next year. Worst MQD’s even though it doesn’t affect me. Get a new computer system Delta yours is horrible I could do better. 2) make it easier to get award tix! I like flying Delta. So…….the worst for me was the devaluation. However, I could live with that and start to fly more with Delta again if they allowed one-way awards tickets. Not a big fan of the MQDs. I’m hoping 2014 brings a little better availability for awards. 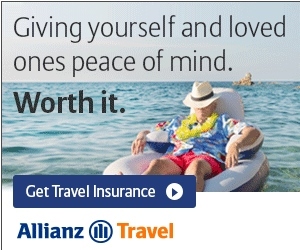 Get rid of MQDs, & make all awards available at 25k miles! I think the worst was not letting you pass your miles when you pass 🙂 One thing I would like is for Silver to get into the fast security line like USAIR does, I don’t care about priority boarding. Least favorite: MQDs: While I will be able to make $25k in AMEX spending, it’s going to be hard to hit this threshold with my wife as well, even through manufactured spend. She flys less and may only make it to silver for 2015. At least she’ll be Platinum this year. Hoping for: This may be odd, but I hope DL maintains the status quo in the relationship with AS. Don’t get me wrong, I like to see more DL metal out of Seattle, but I’m afraid this frenemy situation isn’t going to pan out well for the relationship. Seattle is a second home for me and I like having AS as an option, along with the elite perks I get on account of my Platinum. A merger is intriguing, but I’m a bit sentimental for the AS brand and I don’t think Tilden will allow it to happen in any case. I see AS breaking up with DL and forging a deeper relationship with “the new American”. 2. No mileage devaluations in 2014. Worst is devaluation of miles…Hope for lower number of miles needed for tickets. Devaluation of miles…hurts!!! Hope is for a better website! Like the least – devaluation. Hope for next year – better award ticket availability. Miles devaluation is rough…you spend,hustle and try to get enough miles and it seems the airlines keep making it tougher to use what you have. I hope for more contests and ways to get miles. Hope for more award availability and better customer service!!! Worse was the devaluation would love to have rollover segments and mqds. Delta SkyClub gratis quality alcohol changes really sucked. 2) Restore upgrades on JFK-LAX/SFO/SEA transcons…. 2. I’d like to see a little (or any!) low level redemptions on that award calendar! 1) Devaluation of the program (followed closely by loss of transcon upgrades, which is another form of devaluation). 2) One-way awards (without increase in award pricing). Liked least: no more award ticket holds. Next year: would like more transparency / visibility / clarity on the upgrade process. Devauation. Better booking on partner airlines. Need more promos like current Seattle. 2. Lots more low-level award seats. I do not like the need to talk to 3 diff diamond agents to get 2 of them to agree on something. For example, booking international award tickets. For 2014, I would like to see an easier way to book award tickets on partner airlines. For example – we are trying to book business class award tix Boston to Casablanca on air France without much luck. Happy new year!!! Hate the devaluing of skymiles, like regional and global upgrades! More free upgrades would be awesome! 2. more promos to/from hub cities. 1. MQD’s, hopefully it reduces the number of PM and DM. 2. Ability to earn MQM’s on award travel. Change I’d like to see: Fix the award booking engine! The change I like the least is delta still hasn’t fixed the award calendar. The change I would like to see the most is for delta to fix the award calendar. Would like to see greater award availability in 2014 to complement the higher award pricing. Worst: I dislike the award devaluations, its seems like a lot of award tickets are already pretty steep mileage costs and now they are even worse. Hopeful: Earn mileage on award tickets. If you are going to devalue them, please give us something. MQDs are the worst, but I’d like to see PMs get global upgrade certificates. And going against the grain: I *like* MQD, ’cause it’ll hopefully cull the Medallion herd, and for me it’s no issue ’cause I do $25K spend on my Delta Platinum AmEx. MQDs are the worst for me. I wont make medallion status next year because of it! I would like MQDs to be eliminated! The miles value has dropped so much that it is rare I can use them the way I would like. Let say I can be gone for 5 days in July Were can I go from MSP for the lowest miles??? Make it like a candy store if you have 25 cents you will find something in your budget.